Earlier this year, newspapers were agog with the news that the Central Board of Secondary Education (CBSE) had mandated that textbooks prescribed in schools affiliated to it had to be sourced from the National Council of Educational Research and Training (NCERT). This appeared to be a reaction to a series of reports in the press that pointed out the many glaring errors and lopsided opinions that had been noticed in textbooks supplied by private publishers. Among the many, the one that caught public attention was the recommendation of ‘36-24-36’ as the ideal female shape by a class 12 physical education textbook printed by a private publisher and used in many CBSE schools. Public reactions to this issue understandably questioned the veracity and validity of the information supplied in the textbook, which was a justifiable thing to do. Many reactions also promptly laid the blame at the doors of the CBSE. Reactions of this sort revealed a lack of knowledge about how the school system with respect to textbooks prescription works and indeed how the CBSE system itself works. The CBSE was originally begun owing to the need for Central Government servants to have a reliable school system for their children. This need arose out of the transferable nature of their jobs, which meant that their children’s education was frequently disrupted. Moving from one state board school to another meant that such students were handicapped in many ways owing to the very different curriculum standards across the country as well as the differing examination patterns in various states. The need, therefore, was for a system that taught uniform content across the country. The Kendriya Vidyalayas were then created and the CBSE became the examining body for these institutions. The CBSE for a considerable period of time affiliated only a limited number of schools outside the Central Government system. In the context of the liberalization, privatization and globalization (LPG) reforms of 1991 and the changes in India’s economic scenario thereafter, the schooling ecosystem underwent a change. State funding for school education began to be cut down. In parallel, globalization created certain kinds of opportunities for which knowledge of English became de rigueur. The state board schools which emphasized the regional language medium as opposed to English medium found themselves out of touch. This coupled with the decline of agriculture and shrinkage in government jobs created a context for the emergence of the rural English medium school, whereas in the past English medium schooling had been an urban phenomenon. The decline of government schools also contributed. The CBSE became the preferred ‘affiliating body’ for such schools across the country. It was perceived as being a curriculum of a higher standard and also in tune with the demands of the many competitive exams that students had to give in order to obtain admission in preferred higher-education institutions. With the exponential growth of private CBSE schools, the NCERT found itself woefully ill-prepared to handle the sudden spurt in demand for its textbooks. Enter the private publisher. These publishers filled an important demand-supply gap, thereby ensuring the availability of textbooks for a student body that was rapidly growing in numbers. In time, private publishers of textbooks grew in number and soon, large numbers of schools across the country began to prescribe their textbooks. Amidst all this, the CBSE itself remained ambivalent in this matter. It did not prevent private schools from prescribing their choice of textbooks as long as these textbooks were in line with the CBSE curriculum. This has led to the state of affairs as it stands today with schools across the country prescribing a mix of NCERT and private publishers’ textbooks as they see fit. With many different players getting into the act, the issue of quality has been at the heart of the debate regarding private publishers’ textbooks. Many well-established international players and Indian publishers of long-standing reputation who have been in the business have produced consistently good textbooks which are comparable in quality to NCERT textbooks. Equally, there have been many private publishers of dubious quality who have produced poor-quality textbooks. Then there is the issue of price. NCERT textbooks are low-priced whereas most private publishers’ textbooks are more expensive. NCERT being a government body is able to draw upon a considerable amount of monetary and other forms of support from the government. It also has access to a number of academics from many higher education institutions across the country whom it can rely upon to produce high-quality textbooks which are then supplied to the student body at a very reasonable price. Private publishers have no such support networks of academics, and of course the question of government monetary support does not arise at all. Even so, a small pool of good private publishers have managed to put together an impressive portfolio of quality textbooks, albeit at a higher price. Alongside, a vast underbelly of publishers also exists whose quality is poor, prices high and who do no credit to the private publishing ecosystem. That they have managed to survive for so long is on account of the market dynamics that are at play in the running of the private school system itself. 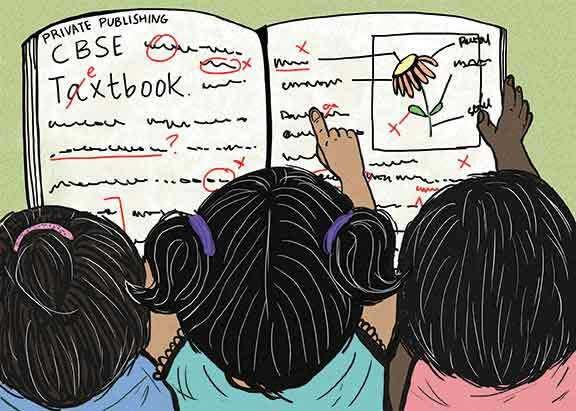 Poor availability of NCERT books is often cited as the reason why many schools prescribe textbooks from private publishers. The poor supply networks of NCERT books is an open secret. Given that it is close to two decades since the CBSE system began to grow, it is a matter of shame that a reliable network of stores supplying NCERT books has not been put in place in cities and towns across India. But that is only half the story. Many parents suspect that private publishers and private schools have an unholy nexus of sorts. They believe that private publishers’ textbooks are prescribed by schools in return for benefits from the publishers. The ultimate loser is the student who is forced to buy a costly textbook when a cheaper textbook (read NCERT) is available. There is some truth in this suspicion. Private schools do receive benefits from publishers as a quid pro quo. School-owners and trusts may contend that the benefits (if at all they exist) are ploughed back into the school. This however cannot be verified. What also cannot be verified are the whispers that NCERT books are deliberately kept in short supply by private publishers who think nothing of greasing a few palms to keep their businesses growing. Consequently, this unproductive game of Chinese whispers continues. Poor availability of NCERT textbooks plays into the hands of private publishers and schools who are quite happy to plead unavailability. And of course, the inability of NCERT to get its act together year after year does lend credibility to the whispers of deliberate under supply. While it may appear to be an easy way out, ‘banning’ private publishers is not an option. Many private publishers are doing pioneering work by producing excellent textbooks. Banning the few good on account of the sins of the mediocre many is a travesty. The first step that ought to be taken is to make efficient NCERT’s notoriously inefficient ways of printing and supplying textbooks. Secondly, all private publishers cannot be tarred with the same brush. This is something that parents and educational bureaucrats must understand. It is not as if textbooks of high quality are uniformly produced by government textbook bodies. NCERT is good, no doubt. But there is very little one can say about the many state-level textbook bodies that also produce textbooks. The need to ensure quality can be handled differently. Perhaps there is a need for a textbook body that oversees textbooks. Only textbooks that are certified by this authority can then be prescribed. While there is the possibility of such a move opening up a new can of worms, it might be one way to ensure quality. There is also a need to introspect on the widely-prevalent textbook culture itself. Prof. Krishna Kumar has written on this extensively (Origins of the Textbook Culture). Tracing its origins to colonial times and its continued existence to the prevalence of the examination culture, Prof. Kumar also discusses poor teacher training as being responsible for the current state of affairs where there is over-dependence on the textbook. So the need of the hour is perhaps not so much for ‘cheap’ textbooks or ‘quality’ textbooks, it is perhaps for textbooks to stop being so central to the educational apparatus. It is this debate that needs to make it to the centre stage. 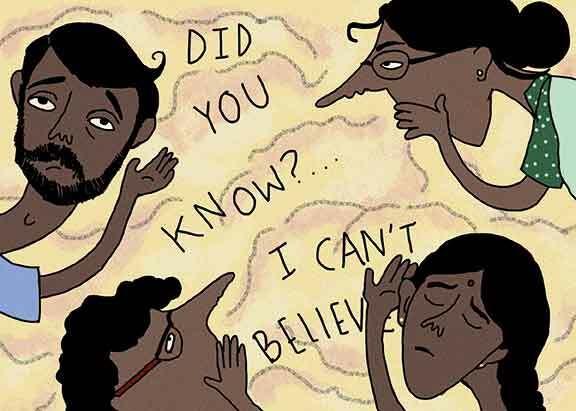 The author headed a private CBSE school for a decade. He now works in the publishing industry. He can be reached at venkkarthik@gmail.com. Which book to go b(u)y? Do textbooks have a gender?